“If people are presented with [divestment] next to their hash browns, then they can’t refuse”, said Newnham College Zero Carbon representative Sophie Thorpe, speaking of the University-wide pro-divestment society’s new focus on college-based campaigning. A fresh wave of college campaigns are currently underway, attempting to breathe new life into Zero Carbon’s pro-divestment movement. The group are seeking to pursue new campaigning avenues, having faced disappointment earlier this year when the University made a landmark decision against full divestment from the fossil fuel sector. 15 college campaigns are currently active, and climate justice workshops are being organised in four further colleges. Explaining Zero Carbon’s new focus on college campaigns, Khem Rogaly, co-president of the pro-divestment group, added that campaigning in college feels “closer to home”. Logan Malik, who co-runs the Clare Hall campaign with Ivan Mouraviev, said that college-level campaigning allows Zero Carbon to “build awareness and power in a way that you might not be able to do at a university-wide level”. Joseph Evans, the King’s representative, agreed that “college committees feel more of a responsibility to the members of their college”, contrasting the “tight-knit community” of a college to the University, which can feel “a bit more anonymous”. A common argument raised against divestment is the large scale of the university’s endowments, so Evans suggested that it will be “much easier to make the case on a smaller scale” within individual colleges. Rogaly added that the fact that Queens’ College divested over summer demonstrates that divestment on a college level is truly an achievable goal. According to Rogaly, Zero Carbon consider divestment at the college level to be their “final pressure” on the University. Ivan Mouraviev agreed that there is a “deliberate strategic element” to college campaigning, aiming to make it “untenable for the central university to keep saying no”. Rogaly told Varsity that college campaigns will be autonomous, but he explained that Zero Carbon will share resources, such as strategic guides, information on college structure, and ideas for how to push forward the campaigns. 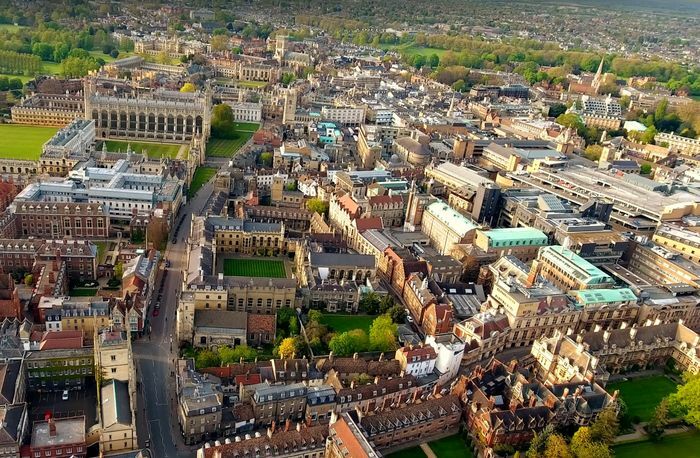 Christ’s College has one of the oldest college divestment campaigns in Cambridge, with the campaign having been active for a year already, and has seen a JCR motion on divestment pass last Michaelmas. Jake Simms, Christ’s College JCR Green Officer and organiser of the college’s divestment campaign, told Varsity that the campaign has achieved widespread student support within the college, with their divestment petition last year gaining 140 signatures. They have also presented their arguments to the College’s governing body, which handed over the matter to the College Council. Regarding future goals, Simms said that they hope to gain even wider support, particularly among academics. As at Christ’s, within Newnham College, students support for divestment appears strong: In February, a pro-divestment JCR motion was signed by over a third of the student body. King’s College, meanwhile, has seen both the JCR and the MCR pass motions calling for divestment, and both the JCR vice-president and Green Officer were elected on pro-divestment platforms. At the beginning of this term, Newnham divestment campaigners met with the college’s Vice-principal to establish their goals before launching the Newnham Environmental Justice Society in late October. Organisers of the campaign told Varsity that they are in the process of “putting divestment on the map and getting it talked about by people in positions of power” in college, floating ideas of speaker events, debates, and letter writing events to achieve their goal. Sophie Thorpe, one of the three organisers, said that Newnham’s campaign will employ a “multi-pronged approach of pressure and presence that college can’t ignore” while also engaging in formal processes to ensure the campaign is presented “as a legitimate as well as a passionate movement”. The King’s College divestment campaign commenced this term, like many others, with making the case to the bursar and College Council as a starting point. Joseph Evans, a representative of the campaign, emphasised that he doesn’t want the divestment movement to be “divisive”, describing this as unproductive, especially given the tight-knit nature of college communities. Logan Malik and Ivan Mouraviev, who co-run the divestment campaign at Clare Hall have organised a petition which will be used alongside a policy proposal in order to lobby college administration. Mouraviev believes, like Evans, that while it is important to convince those in the governing body, who will meet with the campaigners later this month, the divestment process cannot be a “smooth, convincing” one without student support. With so many college campaigns launching into action, CUSU Ethical Affairs Officer Jake Simms told Varsity that CUSU will take a supporting role in the divestment movement. CUSU will be providing practical publicity support to college campaigns, such as sign-ups to campaigns at CUSU’s freshers’ fair stall, mailing list, and banner-making sessions. Despite Queens’ College divesting its endowment over the summer, the smooth administrative process of this appears to be an unusual case – most college campaigners have encountered some resistance within college, and even those who didn’t described the need for ongoing communication within college. Despite this, many of those involved with college campaigning remain optimistic about their chances. Newnham divestment campaigner Ellie Thomson said that the positive response they have seen from students, alongside support from the college’s senior membership, “gives us quite a lot of inspiration”. Thorpe also expressed optimism that the resignations of investment office staff over summer will “hopefully [cause] fellows and senior members of staff to think more seriously about the divestment movement and not brush it aside as a load of radical students”. Clare Hall are hoping for a commitment to divest in January, when their Finance Committee meets, and seemed hopeful that the college is “progressive and open to student voices”. Evans was more hesitant about King’s, saying that “I don’t feel like we’re far enough down the line to know if it’s viable in the next year” but noting that, in his view, it is “definitely feasible” given the strength of support within college. Jake Simms outlined the biggest difficulties faced by campaigners: resistance from those in the college council, rigid college structures and a lack of student representatives on governing bodies. That said, he remains confident that his college, Christ’s, will divest in the near future. Updated, 6:58pm, 9th November, 2018: This article was edited to clarify that Zero Carbon’s college-based approach is not a departure from existing efforts to push the University to divest.